The VERTEX ProTekk mechanical Leak Detector is a leak detection and automatic water shut-off system designed for any type of residential or light commercial point-of-use water treatment or appliance in homes, condos, apartments and offices. The over-center trip mechanism insures positive valve closure to stop leaks before they can cause damage. This can avoid expensive insurance claims and keep your home or office safe from dangerous health conditions caused by water damage and the resulting mold. 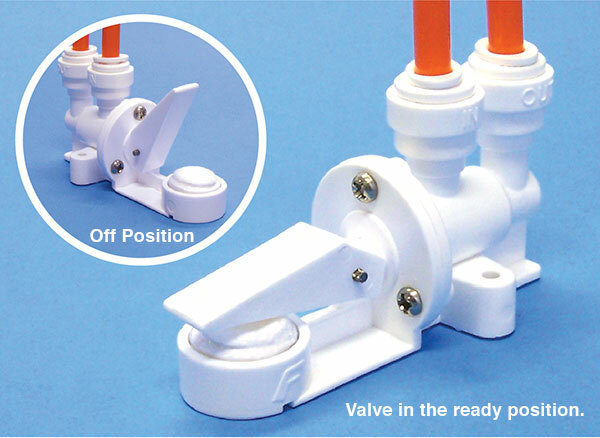 It is easy to install anywhere a leak might occur using the pre-molded mounting holes or supplied adhesive strips. The activation cartridge can be easily replaced to bring the detector back to full operation without the need for tools or reassembly. No power source needed. 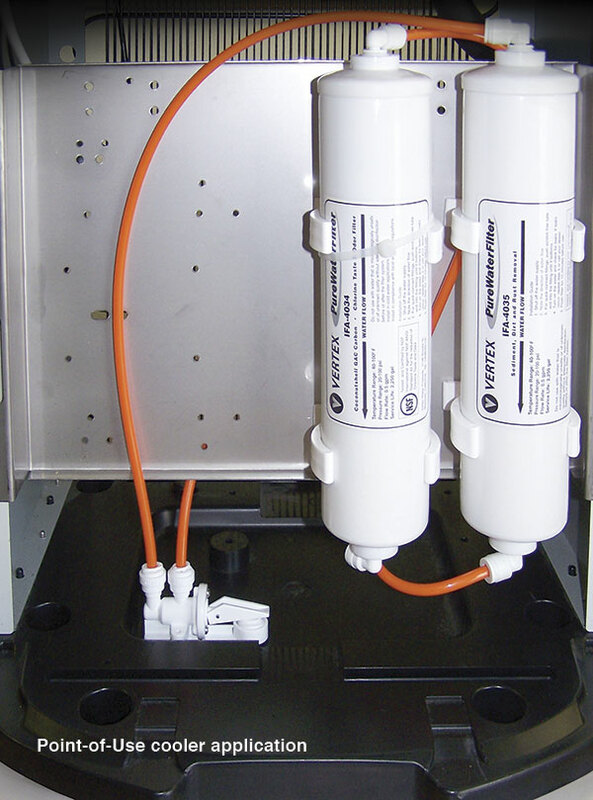 Available with 1/4” or 3/8” push-fit connections. Comes with 2 activation cartridges.